You should never drive faster than your guardian angel can fly. If only Ryan Gosling’s Hollywood stuntman/ getaway driver had heeded this advice he might not have got mixed up with beautiful mum Irene (Carey Mullighan), her jailbird beau (Oscar Issac) and local Mr Bigs Bernie and Nino (Albert Brooks and Ron Perlman). Over the last decade writer/director Nicolas Winding Refn has proved to be (arguably) one of the greatest film stylists and genre anarchists working today. His Danish Pusher trilogy deconstructed the modern crime family saga, Bleeder and Fear X took Freud’s letter opener knife to the infant horror fantasy and vigilante thriller respectively; and let’s not even get started on the Ken Russell-esque excesses of Bronson and how Valhalla Rising was the best Viking pic that Carl Theodor Dreyer never made. Born in 1970, it’s no surprise that Refn should now wish to tackle the cinema he soaked up between the ages of eight and 17 years old when his parents moved from Copenhagen to New York – films that clearly had a profound effect. We are talking about that very American, very specific period when the contradictory charms of the daylight noir reigned supreme. In the colon of Refn’s film lie the undigested remains of Walter Hill’s The Driver, Michael Mann’s Thief (aka Violent Streets), Paul Schrader’s American Gigolo and Richard Rush’s The Stunt Man. Subterranean mise en scène and throbbing electronica are the order of the day here, while the dialogue is reductive, elusive and cloaked in cod portent and existential yearning. This is film noir curdled by sunlight and in bad clothes, where women are silent supplicants and the action violence is extreme. It’s all beautifully marshalled and Gosling is the mighty vacuum at its centre, sucking in the dust of cliché and appropriation. 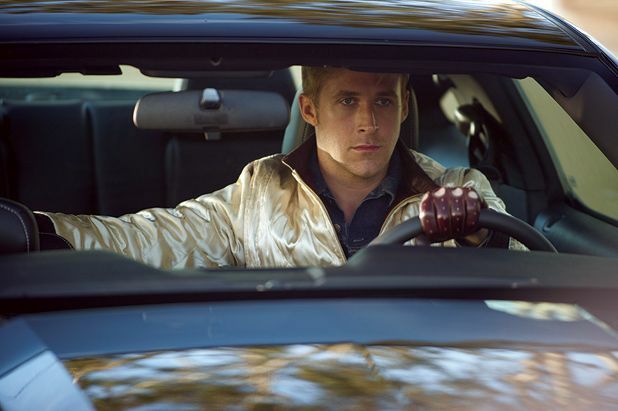 Drive is a top gear achievement. General release from Fri 23 Sep.